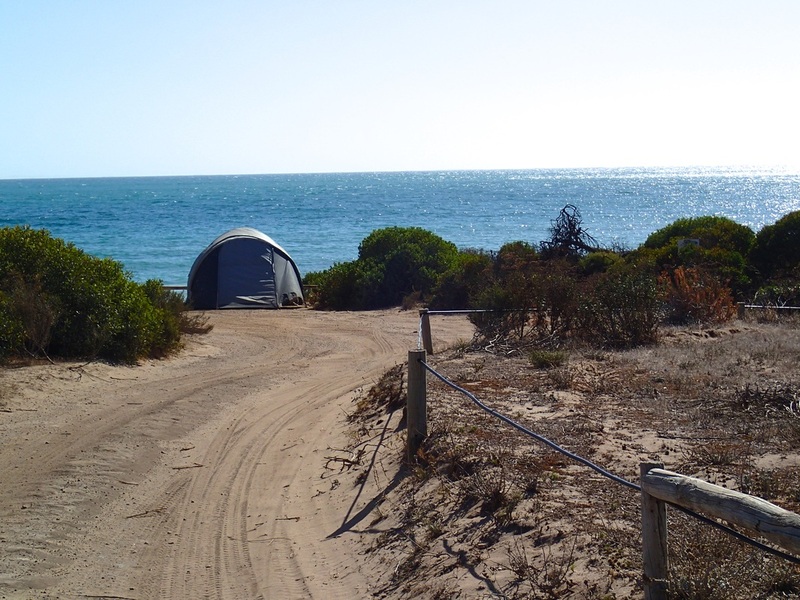 Donington Beach is a small campsite located on Cape Donington, and is accessible via unsealed roads. This camping area is for 2 campsites only. 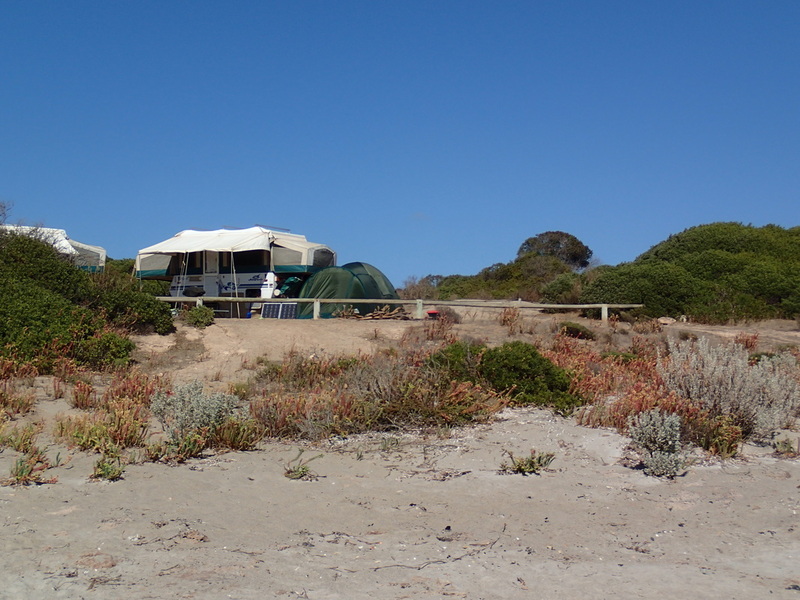 This is a very basic campsite, and is listed as suitable for 4WD but is accessible with 2WD. It is exposed as it sits just above the pretty beach, so if it was a bit windy, there is very little protection. The campsites are not designated, so its just a matter of setting up wherever suits you in the area (which is level, so suit all vehicles). Like Engine Point camping, you are setting up on what looks likes the end of a road rather than say, a bush setting. The beauty is what lies in front of your campsite, not necessarily where you park your vehicle and set up. There is not much shade, just scrub, so you might need to bring protection from sun/rain. Whilst its designated as 2 campsites only, I think in peak times, others might be able to squeeze in with you, making it less desirable, as it's not the sort of campsite you would want to be busy. If someone is already in there, I would keep looking for another spot. Looking at campsite from rear. This campsite has no facilities. You will need to bring in all your water, and a chemical toilet. For information on campfires and restrictions, please read this information provided by Parks SA. View of Donington Beach, with campgrounds in middle of pic. Donington Beach is a pretty beach and I can imagine in summer, it would be a good swimming beach. There are rocks for kids to climb on and explore, all very close to your campsite. 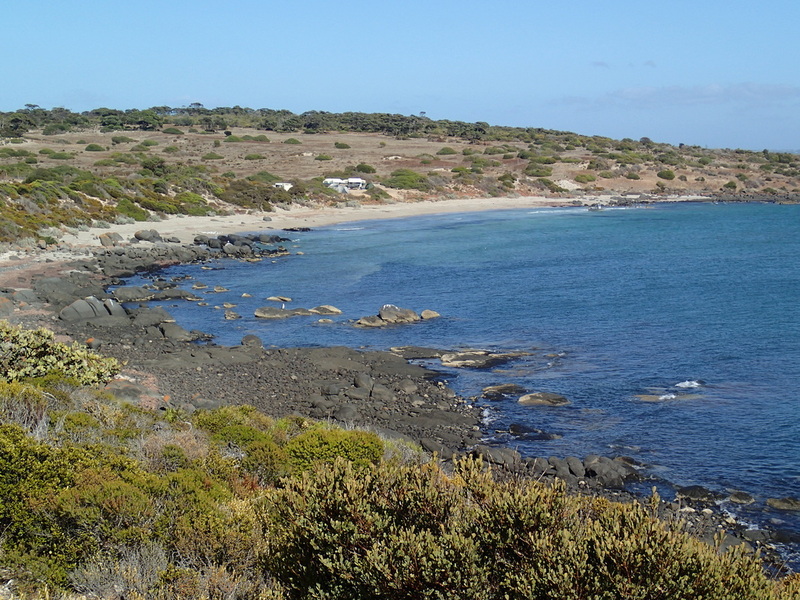 The Donington Loop Walk, which we did, passes through this camping area, and gives you some good views of the point. The Donington Lighthouse is nearby, though it's not one of those pretty photogenic lighthouses, so don't get your hopes up with seeing it!! I didnt' even take a photo of it, which goes to show how mundane it is, as I take a photo of nearly everything!!! 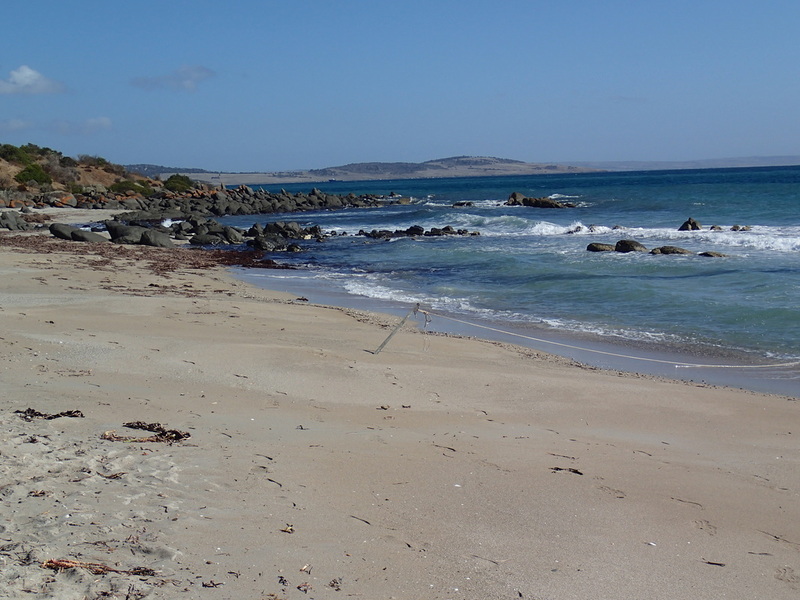 On this Loop Walk, after leaving the campsite, you then walk inland through scrub for a while, taking you back over to September Beach. This part of the walk isn't too interesting - in fact when we were there, the Parks SA folks had built a fence blocking the track route (not advised on any maps), so you had to find a detour of your own and rejoin up with the track later. But despite that little bump in the hike, this Loop Walk is a great way to see the NP.